Chromebook and Linux both are the popular and versatile OS. Initially, the Chromebook was made keeping in mind of the students, but now it becomes a full-fledged OS after joining the Android Play Store. Millions of Android apps can be installed and used in the Chromebook to do a lot more productive task. 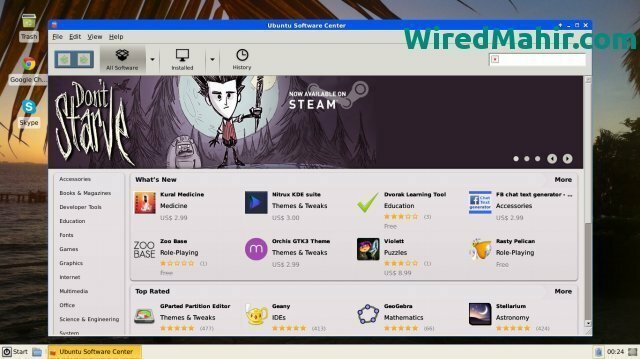 On the other hand, Linux offers some powerful and useful alternative software for users who have come from the Windows or any other system. GIMP ( the alternative of adobe photoshop), Darktable, (a Lightroom alternative) and lots of software out there in the various Linux software repositories, which can help the users to adopt the open source system instead of Windows or Mac OS. So if you are a Chromebook user and want to have dual OS side by side with the Linux system for more productive job or want to get a different flavor, then this is the right place for you to know how to install Linux on Chromebook to unlock its full potentiality. Here I will be proceeding with natural step by step tutorial on How to easily install Linux on Chromebook. Here I will be using Crouton to install Linux on Chromebook, which uses the chroot command to run the Linux distros on top of the Chrome OS, another derivative of the Linux kernel. This is just like dual booting without rebooting the system instead of opening both the OS side by side in a Chrome, Window manager. This is amazingly easy to use and powerful of having both the system alongside. But if you like to install Linux on Chromebook as traditional dual boot, I would like to recommend you to see ChrUbuntu instead. Using Crouton is much more comfortable to follow and works on almost all types of Chromebook. Before going to follow these tips and tutorials, you must take a full backup of your all the files on google drive and make a Chrome OS restore an image. So that if any unwanted things happen during the process, you can restore your full effective system of the Chromebook. Backup all the user’s files into google drive. Make a Chrome OS recovery Image and learn how to recover the chrome os. After making a Chrome OS restore an image, learn how to write it on SD card or flash drive for later use. Learn how to get into the developer mode for your specific Chromebook model using google search. Don’t skip any of those noted steps. Though installing Linux on the Chromebook is easy and straightforward but it always good to have all the necessary tools before factory flash of the Chromebook. When you take your Chromebook into developer mode for the first time, it will remove all the system data and files from the system. That means you have to start from scratch. Don’t get afraid, follow the instruction and have fun. As I have said earlier, it will wipe your all the data. And I believe you have followed “Steps Before Getting Started.” This is some general information about putting the Chromebook into developer mode. But it is wise to have google search with your Chromebook specific model. 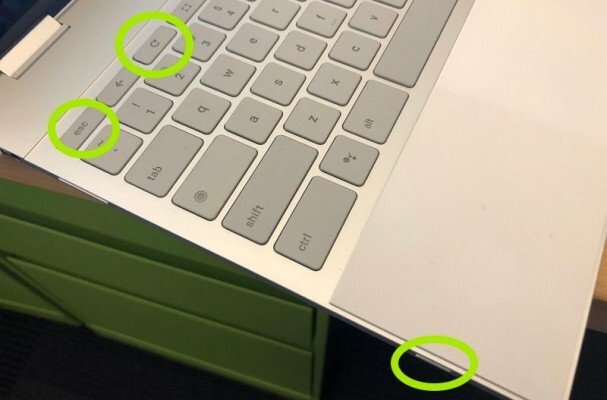 First of all, you have to take your Chromebook into recovery mode by pressing and holding the Esc, Refresh keys, and the Power button altogether. When the recovery mode comes up, press Ctrl+D to turn on Developer Mode. Now press Enter and wait a minimum 15 minutes and so. It will reboot and go through a process of enabling developer mode. During the enabling process, it will wipe out all the local information. After the completion of the process, it will come up with a red exclamation screen. Don’t do anything until it reboots into Chrome OS. Before going to install Crouton, let us know what it is? Crouton is a piece of software as chroot kind, developed by Google hardware engineer who loves Chromebook, which is used to create an environment on Chromebook, like android and google play on Chromebook, to install Linux based OS like Ubuntu, Linux Mint, and others using the same hardware specification as used by Chrome OS. Though there are many other ways available to install Linux on Chromebook this one is easy and straightforward to install, uninstall or modify. Now it’s time to go to step 2 to install Linux on Chromebook. Download Crouton from the official Github Page and save it to download folder. Open the Terminal by pressing Ctrl+Alt+T in your Chromebook. As the developer mode increases the security vulnerability of the system, you can encrypt the desktop password for extra security measurement by using -e flag. You can get more information regarding this from the official GitHub page. It will take some time for installing Crouton. When it is completed, it will prompt for new username and password for new Ubuntu installation. So enter the user credentials as it asked. 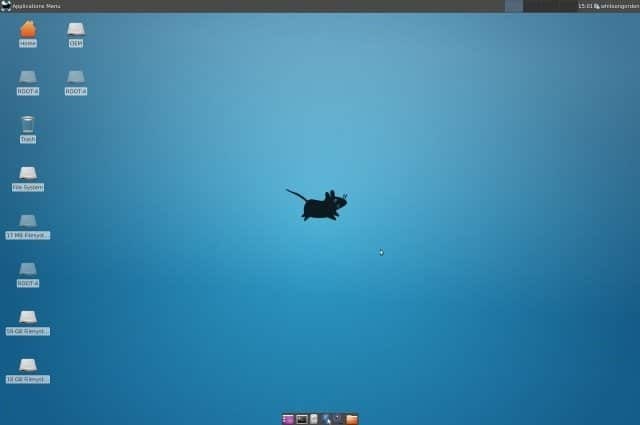 Up to this time, I have shown how to install the Ubuntu Xfce desktop environment. But if you want to install the Unity desktop environment, just replace “xfce” with the “unity” without the quote in the above command. And while starting the desktop environment replace with “startunity” without the quote. Moreover, if you like to install KDE, LXDE, and any other Linux desktop environment, See the Crouton GitHub page for more information. You can switch back and forward between chrome os and ubuntu by using Ctrl+Alt+Shift+Back and Ctrl+Alt+Shift+Forward for ARM-based Chromebook, and Ctrl+Alt+Back and Ctrl+Alt+Forward for an Intel-based Chromebook. For the latter command, you have to press Ctrl+Alt+Refresh to bring up the desktop. Just log out as standard PC if you want to exit the Ubuntu Linux desktop. Again run sudo startxfce4 to start the Linux desktop environment. This version of Ubuntu Linux desktop does not come with lots of software. Even some of the essential apps, you will not find here. So you have to install all those vital software manually by using specific command into the Terminal. Disable the screensaver if you are using XFCE to avoid graphics issues in Chrome OS. Use the Download folder as it is shareable for both the system. It will take more 30 seconds to boot up as it’s in a developer mode. You can skip the developer mode message by pressing Ctrl+D. 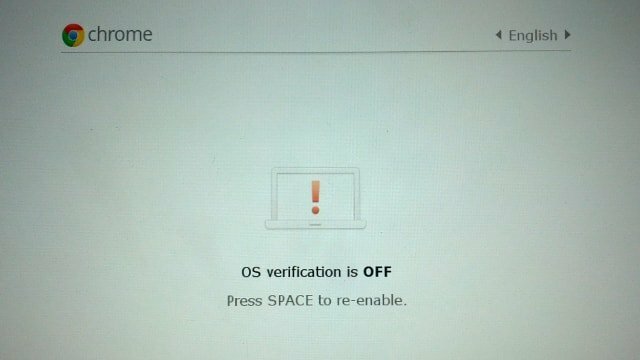 If you want to remove the Ubuntu Linux desktop environment and go back into the regular chrome OS, press spacebar while rebooting the system and when to re-enable OS verification prompt up. This will uninstall Crouton and restore your Chrome OS. So that’s it. Now you have a fully functional and effective Ubuntu Linux desktop along with Chrome OS. You can switch back or forward to the different system by using keystroke. 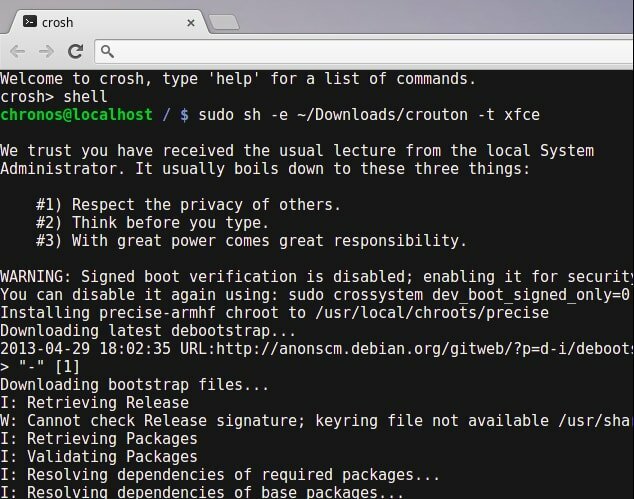 What method did you follow to install Linux on Chromebook? Do you like this tutorial? If you face any problem during this process, please let me know in the comment section and feel free to share your experience also. Idk what happened but its not taking my password. Is there a way to fix this? Maybe turn off the password? Please help. Did you type in the command ‘Shell’ before using the commands? it says it doesnt understand the command sudo? I tried to follow the instructions using the “-e” flag, i.e., using the syntax: “sudo sh ~/Downloads/crouton -e -t touch,xfce” which then brings a message to enter a password. However, at that point the entry point freezes and I cannot enter a password. How do I fix this. The machine I’m using is a brand new ACER Chromebook R11 with a celeron quad core processor, 4GB RAM and 32 GB drive. Thank you for your help. I have the same problem, hopefully, this can be fixed. Will this work on a school managed chromebook? Probably not, if they are like mine and have administrator mode off along with a number of things disabled. If I’m not mistaken, both OSs are running at the same time. Isn’t it? If true, could be the RAM or CPU usage be affected? Worked first shot, no hint.